Whether it’s in the vibrant city of Knoxville and the beauty of the Great Smoky Mountains or the Volunteer spirit of the University of Tennessee and the creative spaces in the College of Architecture and Design, you’ll find your place here. Downtown Knoxville offers something for everyone. Eclectic shopping, more than 80 restaurants, a farmers’ market, historic and cinematic theaters, art galleries and museums are just a few short blocks from campus. The Tennessee River and 65 miles of greenway trails wind through the city, and it’s just a short drive to the Great Smoky Mountains National Park. The college capitalizes on its location in East Tennessee to provide unparalleled resources in digital fabrication, construction and design. Provided with such a supportive community, I can’t picture myself anywhere else. When evaluating campus housing options, you might want to consider our Design Living/Learning Community exclusively for Architecture and Interior Architecture majors. The community expands the first- and second-year experience for design students through networking, group activities and special events -- and it's where lifelong friends will probably be found. Our award-winning building, affectionately called “The A and A,” houses administrative and faculty offices for the College of Architecture and Design as well as 450+ individual student workstations in open studio spaces, lecture rooms, fabrication spaces, art galleries, an auditorium, exhibition and review spaces and an amazing atrium flooded with natural light and open to the ceiling four floors above. In 2017, the A+A was named a Top 25 Must-See Building in Tennessee by USA Today. Take a virtual tour of the A+A. Explore, learn and make in the Fab Lab, using industrial-grade 3D printers, a water-jet cutter, CNC routers, laser cutters, an x-axis mill, metal and woodworking equipment and even robotics. The Fab Lab, located in downtown Knoxville just five minutes away, is open to all students and faculty. Sometimes you’ll have an assignment that takes you to the Fab Lab, but other times, you’ll just want to exercise your curiosity there. Watch this video about the Fab Lab. With more than 20,000 square feet filled with tools and technology, the Fab Lab is equipped to make your vision a reality. Experienced staff and student workers are on hand to help you with projects and ensure safe use of all technology. We have two wood shops in the Art + Architecture Building and the Fab Lab. Both offer milling, laser cutting, CNC routing and other analog and digital fabrication resources for the creation of furniture, industrial design projects, models, building staging and mock-ups. The metal shop in the Fab Lab provides advanced technology and analog tools for creating with metal. Experienced staff and student workers will help ensure students use the shops successfully and safely. The Environmental Design Lab, located in two places on campus, builds on the interdisciplinary partnership at the heart of the School of Landscape Architecture in order to extend the reach of the program beyond the classroom into the community and region. Located on Second Avenue in the heart of historic downtown Nashville, the Nashville Civic Design Center is home to our Nashville Urban Design Program along with many other events and activities. 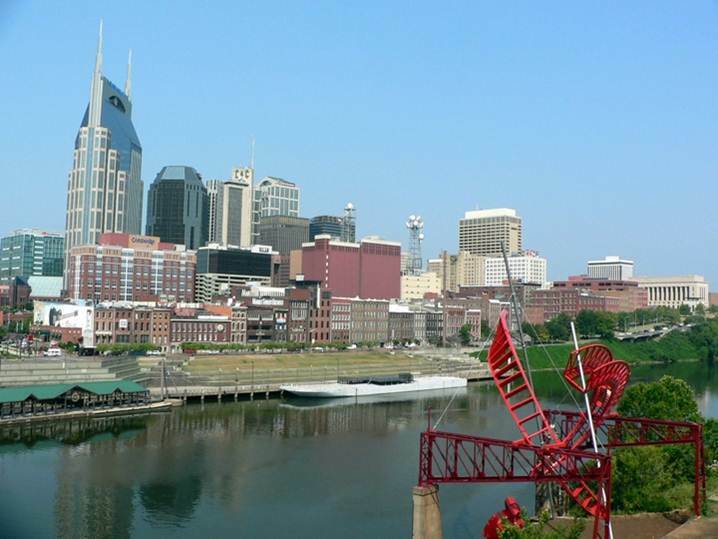 We were instrumental in the founding of the Nashville Civic Design Center in 2000 and still have an active presence and involvement in this unique organization that promotes public participation in the creation of a more beautiful and functional city. Founded in 1794, UT is big on tradition, and we are proud to be Tennessee’s flagship land-grand university. We serve the state by educating its citizens, enhancing its culture and making a difference in people’s lives through research and service. By attracting the best and brightest students and leading faculty, we are on track to join our peers in the nation’s Top 25 public research institutions. An aggressive roadmap guides our journey. Learn about our mission, vision, and values. The university has 11 individual colleges and 900+ programs of study, as diverse as the state, itself. Learn about our academics. We have about 22,000 undergraduate students and about 6,000 graduate students. We are the Volunteers. The Volunteer spirit of respect, civility and inclusion runs deep, and when our Volunteers take the field in Neyland Stadium on any given Saturday, it also runs loud. Come see for yourself! Find your way to Knoxville and to the College of Architecture and Design.